As the Christmas season is fast-approaching, the Philippines’ largest carrier celebrates with everyone as it continues to give away additional baggage allowance to passengers travelling from Dubai to Manila—perfect for bringing “pasalubong” or gifts for their loved ones back home. The cost of shipping a ‘balikbayan box’ ranges from AED210 to AED370, while a 40-kg baggage allowance on Cebu Pacific only costs between AED 320-350. CEB currently flies daily between Dubai and Manila, and offers flights to a total of 37 domestic and 25 other international destinations. The airline operates over 100 routes across an extensive network spanning Asia, Australia, USA, and the Middle East. Its 60-strong fleet is comprised of two Airbus A319, 36 Airbus A320, eight Airbus A330, eight ATR 72-500, and six ATR 72-600 aircraft. Between 2017 and 2022, CEB expects delivery of 7 Airbus A321ceo, 32 Airbus A321neo, and 10 ATR 72-600 aircraft. 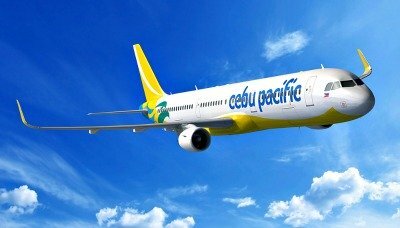 For the latest promotions, guests may also download the Cebu Pacific mobile app on the App Store and Google Play, or visit www.cebupacificair.com. The latest seat sales can also be found on CEB’s official Twitter (@CebuPacificAir) and Facebook pages. For inquiries, guests can contact Cebu Pacific’s General Sales Agent either in Dubai (Al Rais Travel & Shipping Agencies LLC at +971 4 354-5777), or in Abu Dhabi (Abu Dhabi Travel Bureau at +971 2 610-5211 or +971 2 633-8700). *The promo is only for guests travelling from Dubai to other Cebu Pacific destinations, whether direct or connecting flights, and is not valid on return flights from other destinations back to the Middle East. For connecting flights within the airline’s domestic route network, the 65 kilogram baggage allowance is only for Cebu Pacific flights as bookings on Cebgo only have a maximum baggage allowance of 20 kilograms.